Good morning, all. Thanks to those who braved the elements and walked the line for a minute on Friday outside Senator Carlucci’s office to protest the budget. HS members provided a very good turnout – some walked their newborns in strollers, some came with a friend in tow, and one brave, brave soul walked in that wind in nothing but a t-shirt and jeans! In addition, BOE Member Maureen Danzig also was in attendance to protest the Senate Budget. Thanks to all who came out and walked the line! It seems that Carulcci’s staff requested multiple Clarkstown police to show up when we arrived, and they dutifully told us we had to walk on the sidewalk instead of stand, so as not to be loitering. Meanwhile, neither he nor his staff met with us, and his staff simply stared out the windows at us. News 12 and Journal News reporters arrived to do stories. Again, thanks to all who showed up on short notice! Take care and have a great week! VERY IMPORTANT: The Rally at Carlucci’s Office is extremely important. If the tax credit bill he supports gets passed, it will drain millions more from public schools and that means job loss and program loss. We need to step up and try to stop the madness. Even if you can only be there for 30 minutes, it will make a difference. • Allocate $800 million to a regressive tax freeze that requires a district to stay below the 1.46 percent tax cap and favors the wealthiest homeowners in the wealthiest districts. The Senate also makes permanent the existing tax cap law that would otherwise sunset in 2016. • Provide $150 million in tax credits to wealthy corporations and individual donors, rising to $300 million in 2017, which could fund back-door vouchers to private schools. The Senate also provides an additional $38 million in non-public school aid. We oppose back-door vouchers and diverting funding from public schools. • Require NYC to increase tuition payments to charter schools, and on a statewide basis, requires districts to provide space rent free to charter schools, provides building aid to charter schools, provides Pre-k funding to charters schools and gives charter schools veto power over any changes in co-location arrangements with public schools. • Provide $161 million less in funding for K-12 school aid then the Assembly, or $820 million increase versus the Assembly’s $981 million increase for K-12. As many of you already know, former Assistant Superintendent Brian Miele’s trial is scheduled for April 2. Over 100 RTA members and former RTA members will be subpoenaed to testify as witnesses at the trial. The list grows everyday. We will continue to notify teachers through RTA leadership as more teachers are added to the list. We will hold an emergency membership meeting on Wednesday, March 19 at the middle school at 4:30 PM. At the meeting, we will discuss the details of the indictment and hope to have legal counsel available for a general discussion. It’s been an extremely difficult week for many of our members and the next few months will be equally difficult. Though not every member will be directly involved, our teaching staff and school district will be turned upside down by the oncoming storm. It is important that we support each other. Despite the frigid temperatures, snow, and cold and flu season, the 43rd Annual RTA Blood Drive on January 22, 2014 was a success. Forty donors turned out, 3 donors were deferred and 37 people were able to donate. Of those 37, 7 people gave double red blood cells so Ramapo Central collected 44 blood products during yesterday’s drive. *sorry if I missed you, this was based off the sign in sheet* Please let me know if I forgot you. On December 9th, there is a “Day of Action”. We are encouraging all members to wear blue, take pictures and share with the world. I know our attention has been driven more by local concerns and rightfully so, however, lack of funding is still our number #1 enemy. So…….be creative. Share your photos. 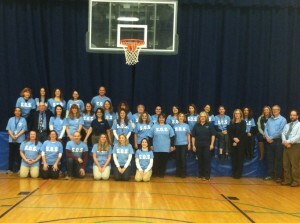 Wear blue, share blue. 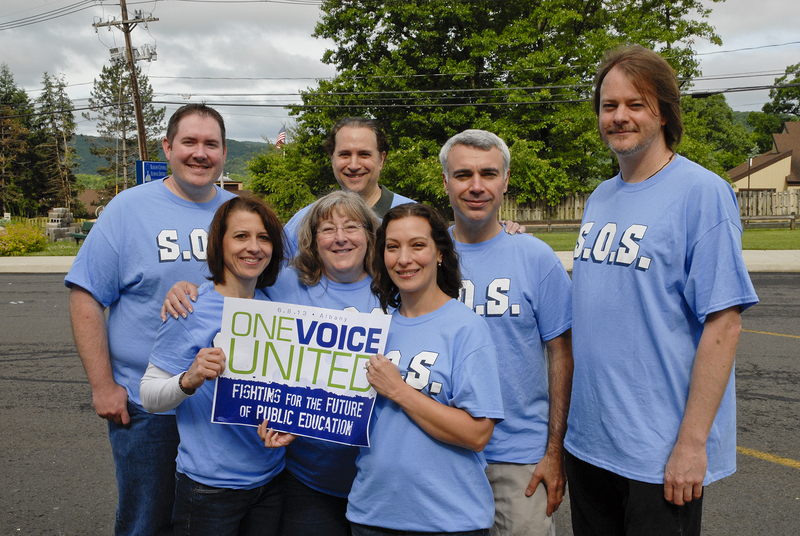 Send NYSUT your photos of blue solidarity via email or social media. They’ll post the photos as a massive message in support of public education. • RSVP and share the event on Facebook. Let your friends know you’re taking part. • Download and print the poster. Find out about how state funding has changed and understand key phrases: “Gap Elimination Adjustment,” “Unfunded Mandates.” This discussion will focus on how these state issues impact the Ramapo Central School District & student education. It will touch on Common Core and how it places additional financial burdens on the district. Any teachers with questions about their own certification should attend and contact NYSUT to reserve a spot as directed on the flyer. RTA Picnic Tues., Sept. 3rd – Save the Date! Hamburgers, hot dogs, beverages and prizes for the kids. Please plan on bringing something to share such as an appetizer, side dish or dessert. I’m sure we all have some summer favorites up our sleeves! What better way to recoup from our return to the grind?!? Hope you all can make it, as it is a fun time to reconnect with colleagues before the school year begins. There will be a pool and lifeguard this year so be sure to bring suits and towels for the kids! Again we are asking for a donation of $10.00/person and $20.00/family to be collected at the picnic. Proceeds go back to the unit in the RTA family scholarships. Looking forward to seeing everyone and enjoy the rest of your summer! Thanks to all those who Rallied in Albany on June 8! Thanks to all RTA & community members who rallied in Albany on June 8! 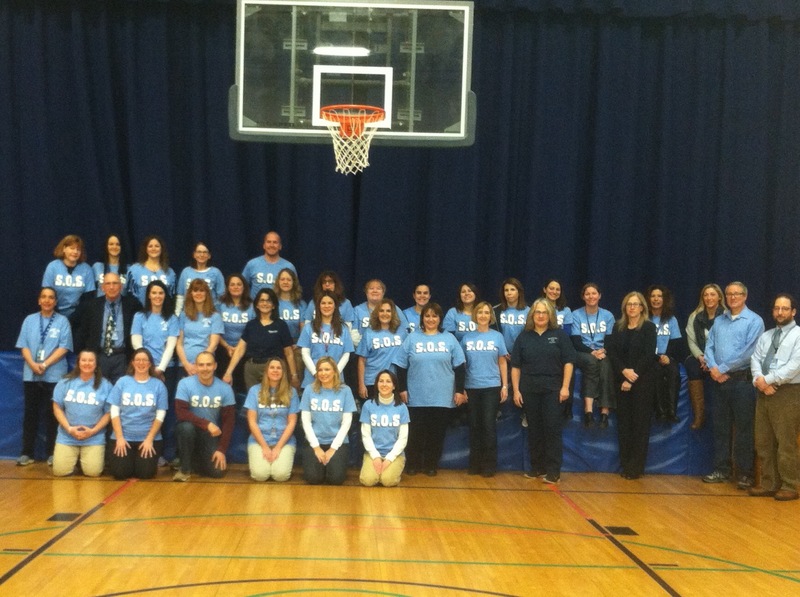 Here’s a photo of our Suffern Middle School “Save Our Schools” coalition taken rally day!